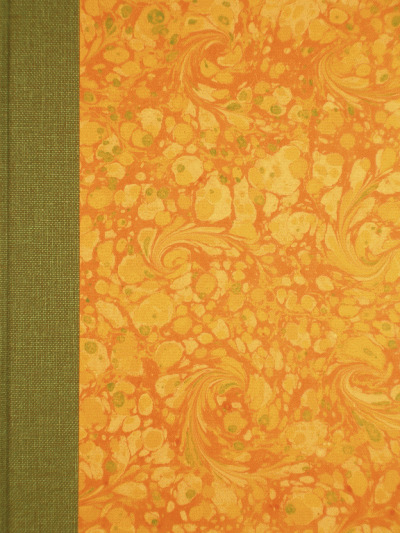 Colour linocut, 1970. 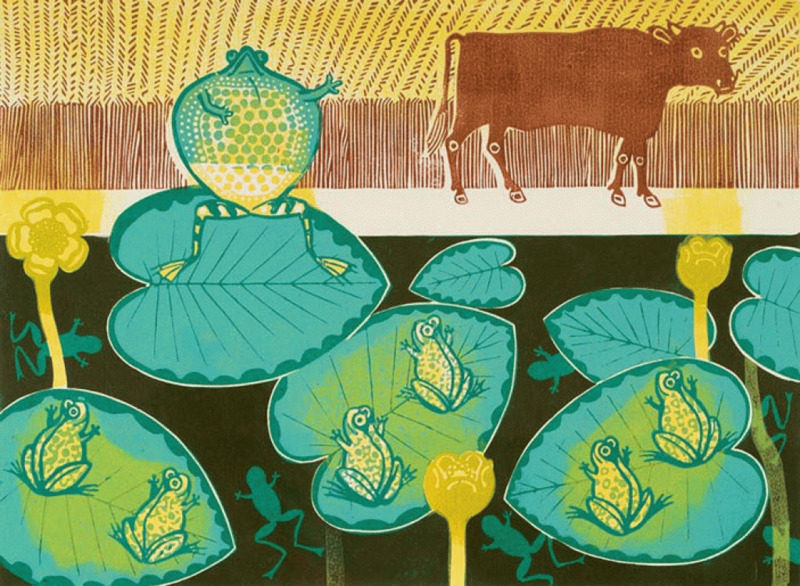 In the 1970’s Bawden made a series of prints based on Aesop’s fables. The frog, with feet firmly balanced on the water-lily, puffs himself up to twice his normal size. He points towards a passing Ox and, boasting to his companions, suggests that he, too, can be the size of this Ox. His companions doubt this, and with each puff deny that he has yet reached the Ox’s size. Determined, the Frog continues puffing until, finally, he bursts. The moral? Rather than imitate others, be true to your self.